In his trilogy on the conquest of America, William Ospina describes the land of cinnamon as that place perfumed with exuberant beauty, a symbol of what legions of cruel and demented men have sought endlessly throughout the ages: the beauty in whose pursuit so many beauties have been destroyed, the truth in whose pursuit so many truths have been desecrated, the peaceful place by which all rest has been lost. 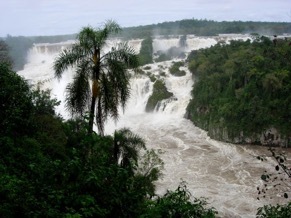 A country up north of which the indigenous people of Peru told the conquistadors, who ended up lost in the jungle discovering the Amazon River, a paradise different from the one dreamed of. Perhaps it is the memory of the savage conquest that frantically sought gold and annihilated peoples and cultures, that is the closest reference of those who look with suspicion on international aid, which they perceive as a wicked business that imposes devastating ideas and practices associated with the cruelest capitalism. 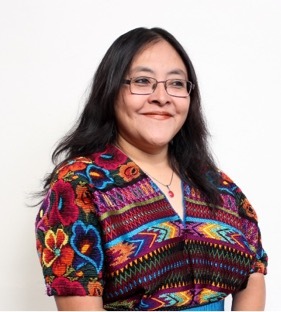 Grouping all organizations together, they forget some of the sector’s goodness as having been the first spaces opened to contributions from indigenous women, as the Maya kaqchikel thinker Aura Cumes pointed out in a recent interview. Perhaps we also forget attempts to contribute to the dialogue and the construction of critical and propositive learning that emerge locally and mix with visions coming from other latitudes, creating possibilities of change that are born from life and not from a passport. A diverse world needs more complex and respectful, less dogmatic views of life and its possibilities. Radical readings prevent encounters that can mean a true act of beauty. Consider for example the origin of flamenco, cumbia or candomblé, passionate and deep musical genres born of the mix of cultures. Although there are sectors for which development continues to mean a quest for capital and power, there are others for which it means undertaking a journey towards the poetic discovery of the metaphorical America (and other territories) described in Ospina’s work. A journey for life not taken alone or from outside, but collectively and from within because, to paraphrase Whitman, as you absorb the country, the country also absorbs you. Perhaps there are sectors of international cooperation that represent that journey to the aromatic forest that awaits those open to a new and exuberant beauty. In the words of William Ospina, the most beautiful country that can be known is the one “we were looking for in cold and pain, hungry and fearful, above almost unscalable cliffs,” that we find for perfumed moments, or simply intuit.